THE VENUE, UFFCULME. DOORS 7.30, SHOW START 8PM. Host of BBC One’s All Together Now and team captain on Channel 4’s 8 Out Of 10 Cats. 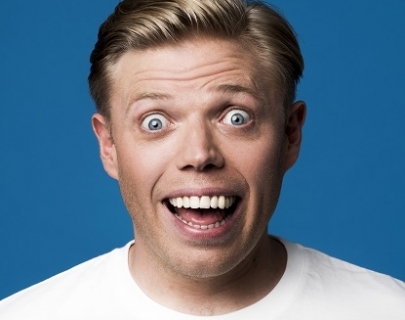 He is also the star of BBC One’s Live At The Apollo, Would I Lie To You?, Channel 4’s 8 Out Of 10 Cats Does Countdown, BBC Two’sMock The Week, ITV’s Play To The Whistle, ITV2’s Celebrity Juice and Sky’sA League of Their Own. And he is a host of Dave’s podcast, The Magic Sponge, alongside Jimmy Bullard and Ian Smith. Opening act – welcome back to ‘big bird’ Sheeran himself – Mark Simmons. Click below to be added to our email list and never miss another show! Folk god. Comedy legend. Richard Digance comes to Tiverton. Want to see someone special? Let us know if you want to see any particular act in Tiverton. Want to book a comedian for an event – birthday, social, fundraiser? Please give us a call on 07931 151545.